Special counsel Robert Mueller's review of Russian interference in the 2016 election is "close to being completed," Acting Attorney General Mathew Whitaker said Monday, suggesting that the investigation that has roiled Washington for nearly two years may be nearing its conclusion. “Right now the investigation is – I think – close to being completed," Whitaker said in his first public comments on the probe he now supervises. "I hope we can get the report from Director Mueller as soon as possible." 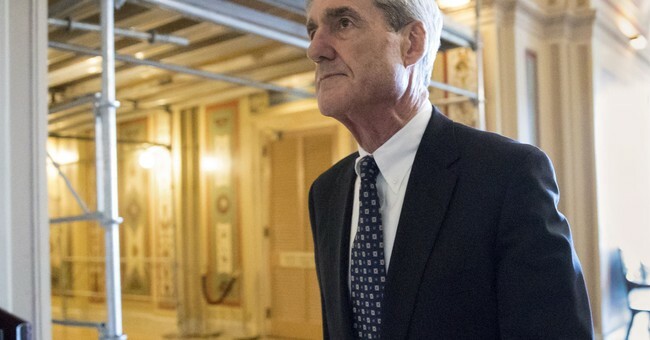 The timing of Mueller's investigation had been a matter of intense speculation since months after it began in May 2017. Since then, the special counsel has brought criminal charges against a succession of aides and associates of President Donald Trump, mainly for lying about interactions with Russia or intermediaries linked to the Kremlin. The charges have laid out intense interest by Trump's associates in benefiting from Russian efforts to sway the election in his favor, but have not accused the president or any of his aides of participating in the scheme. Whitaker didn't say exactly when he thought the investigation would end. And prosecutors' public actions suggest they may still be gathering evidence. Investigators carried out a search on Friday at the home of Roger Stone, the longtime Trump adviser charged with lying to Congress. Separately, Mueller's office is still fighting in federal court to force a reluctant witness to testify to a grand jury. Given the endless duds from this investigation and the fact that no real smoking gun has been found, this report will likely be a vanilla history of the Trump campaign having some shady guys, who did bad things prior to the 2016 election, which is in no way relevant to the collusion narrative. Most of those indicted have been pinched for crimes unrelated to the collusion allegations. And yes, Whitaker has criticized the investigation as well, which is why Democrats weren’t took keen on him upon Jeff Sessions’ resignation. They wanted him to rescue himself, like Sessions. Whitaker refused. Until then, we wait for this report to drop, and for the Left’s impeachment hopes to die with it.